While peering into the forest behind we were greeted at the forests edge by this Female Ruffed Grouse. We took a photo or two before the slipped back in to the forest behind. Yellowstone National Park, fall 2017. Hi Jim, hope the campaign to preserve habitat for the grouse is successful. So much of the grasslands are lost or have been lost. Oh wow, Mike, lucky you, it is so difficult to see grouse, and photographing is nearly impossible. Thanks for sharing this beautiful grouse with us. Nice find and great pic! 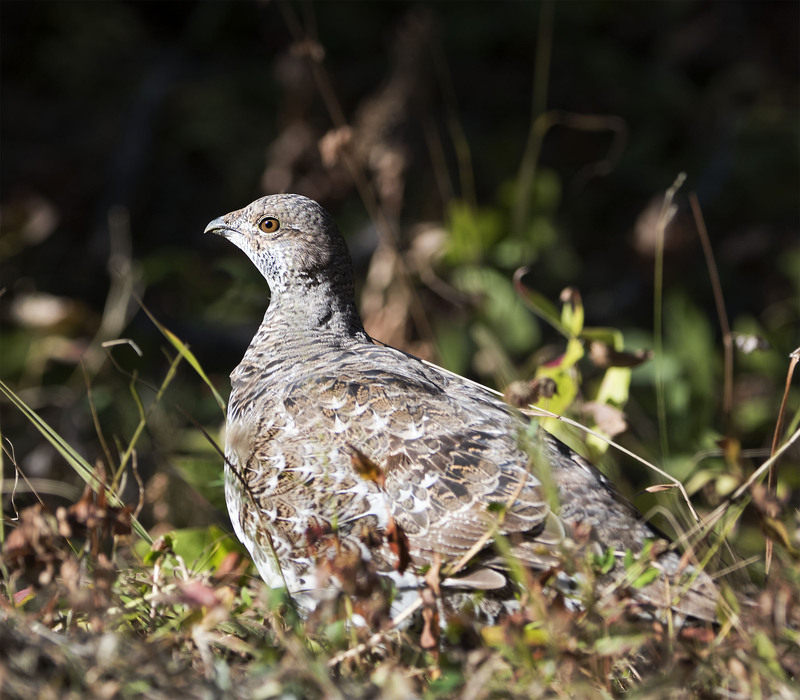 It is always a treat to see grouse. We probably walk right by them most of the time. What a gorgeous creature she is, and what colors you captured, along with that eye. She was a very gorgeous grouse and given her camouflage it was a nice treat to be able to see her.